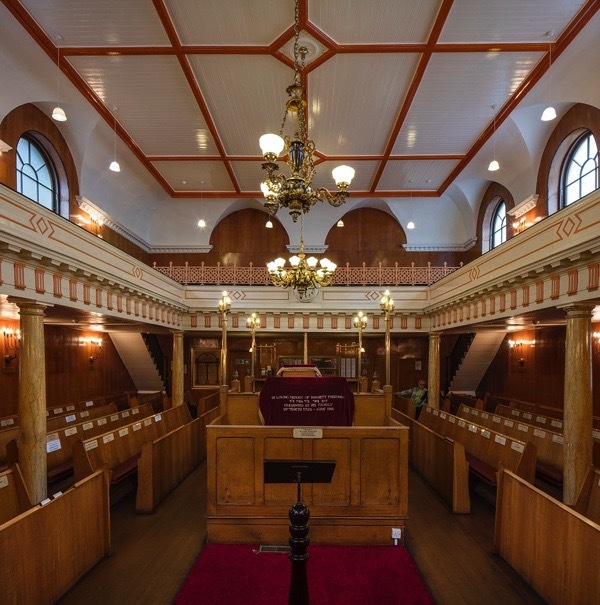 There were once nearly one hundred and fifty synagogues operating in East London, yet today Sandys Row is the last functioning Ashkenazi synagogue in Spitalfields, situated at the heart of the former Jewish East End. 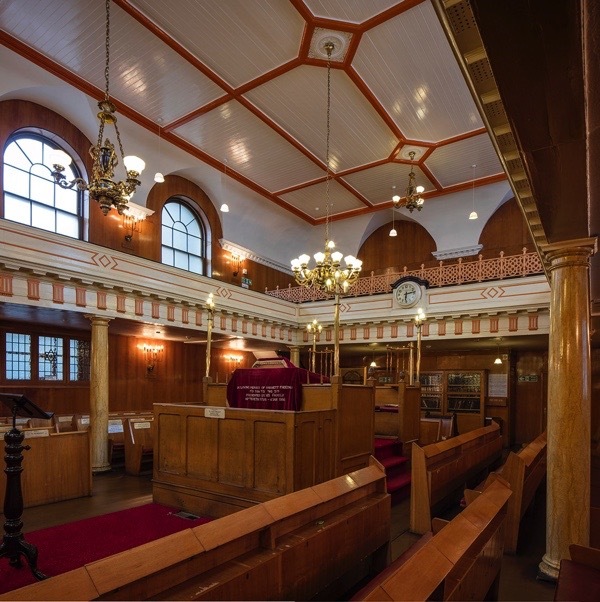 Dutch Jewish migrants, who began arriving in London from Amsterdam in the 1840s, established the synagogue in 1854. They were economic migrants seeking a better life, rather than refugees fleeing persecution like the thousands of Ashkenazi Jews who came after them in the 1880s from the Pale of Settlements. The majority of the Dutch Jews settled in a small quarter of narrow streets in Spitalfields known as the Tenterground. They continued to practise the trades they had bought with them from Holland, which were predominately cigar making, diamond cutting and polishing, and slipper and cap making. Many small workshops were established and businesses passed down through generations. This small, distinctive, tight-knit Dutch Jewish community of a few hundred had their own traditions and customs which were different from other Ashkenazi Jewish groups. To the frustration of the more established Anglo-Jewish population living in London at the time, the Chuts (as they were known locally) refused to join any of the larger existing synagogues. They wanted their own establishment. In the early years of the community, they met in a house on White’s Row which served as a makeshift house of prayer, while for festivals and high holy days they rented Zetland Hall in Mansell St. In 1854, fifty families from this community formed the Society for Comfort of the Mourners, Kindness, and Truth, which originally functioned as a burial and mutual aid society and later became a way of raising funds to purchase their own building. By 1867, the Society had amassed enough money to acquire the lease on a former Huguenot Chapel in Sandys Row, a small side street in Spitalfields. The chapel was particularly suitable to adapt into a synagogue because it had a balcony (where women worship in many orthodox synagogues) and was on an East-West axis (Jewish people in this country pray facing east towards Jerusalem). The community employed Nathan Solomon Joseph, one of the most famous synagogue architects of the time, to remodel the chapel. He kept many original features of the Georgian interior, including the roof and the balcony and added a new three-storey extension onto the building, creating a vestry and accommodation for the rabbi and caretaker. 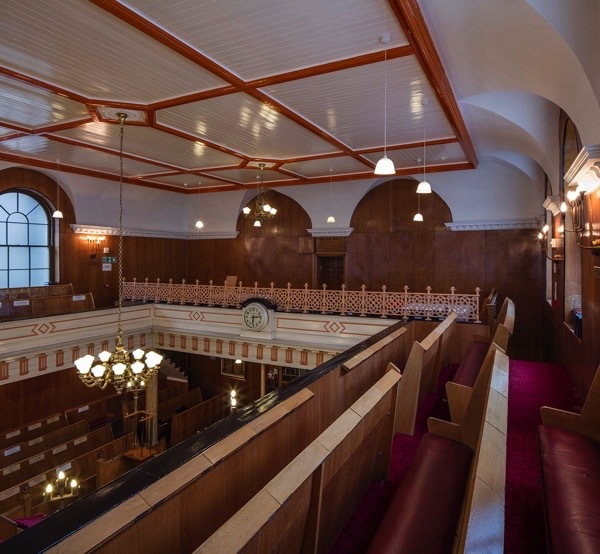 He also designed a beautiful mahogany ark, which can still be seen recessed into the eastern wall of the building framed by neo-classical columns. 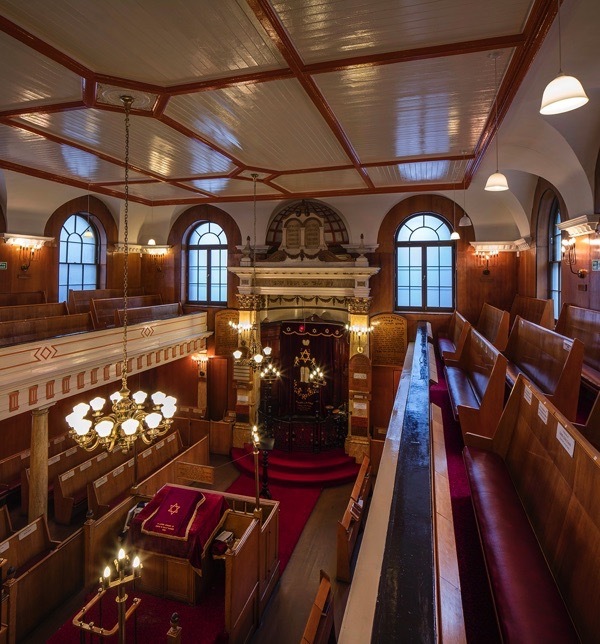 Since it was consecrated in 1870 with ‘an immense throng of Jewish working men assembled – with devotion, enthusiasm and solemn demeanor – to join in dedicating the humble structure to the worship of God’ Sandys Row Synagogue has never closed its doors. 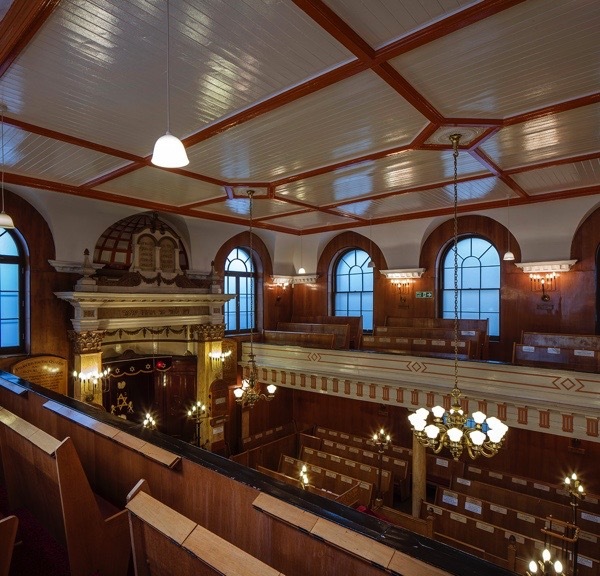 Apart from some pine wood paneling, which was added in the fifties along with some pine pews, the synagogue today looks much the same as it did when it opened in the nineteenth century. 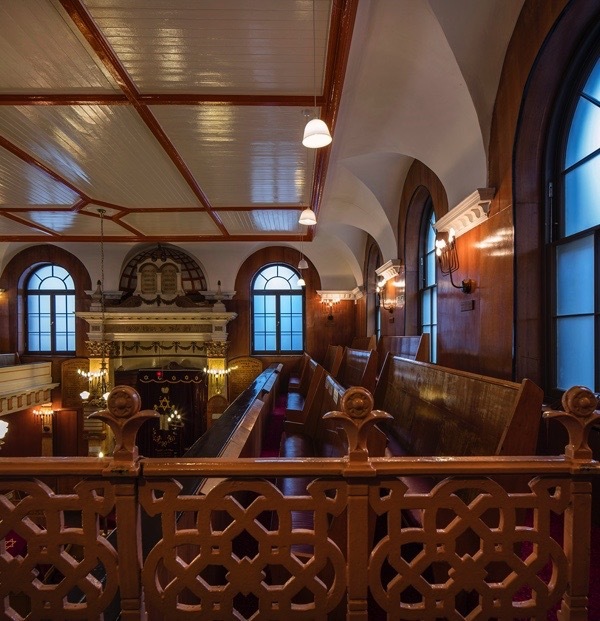 It was described in the Jewish press in 1870 as ‘a sacred place…simple, yet charming,’ a building that ‘invites the worshipper to religious meditation.’ The same holds true for the interior of Sandys Row today, it is an oasis of calm from the bustle of the City outside. The building still evokes the sense of awe and quiet meditation described by the journalist who witnessed the consecration ceremony nearly a hundred and fifty years ago. Until recently, little has been known outside the congregation about this wonderful building and the Dutch Jewish community who established the synagogue. 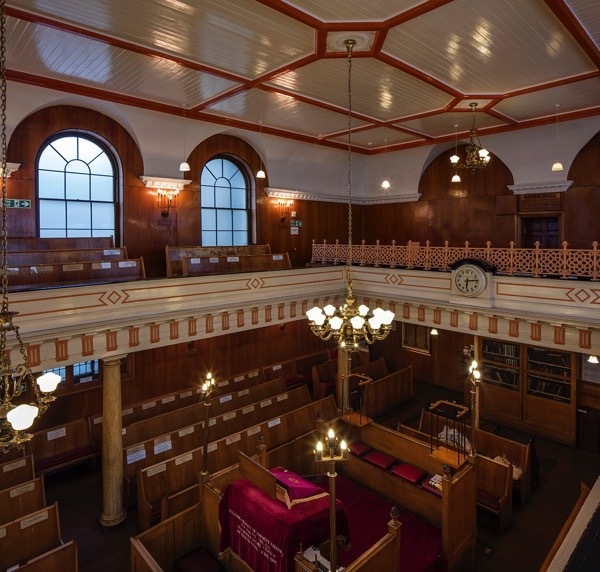 But in 2013, Sandys Row Synagogue was awarded a grant from the Heritage Lottery Fund for an oral history and community heritage project, Our Hidden Histories - collecting memories, photographs and artefacts relating to the building, as well as uncovering more about its role in the community. I was appointed as Project Manager and, thanks to a generous grant from an anonymous benefactor, have continued to work in the building part-time since then. During the last few years, I have fallen in love with the place and its unique history, which is connected to my own family heritage. My paternal grandparents were Polish Jewish migrants who met in Whitechapel in the thirties and married at the nearby Princelet St Synagogue. 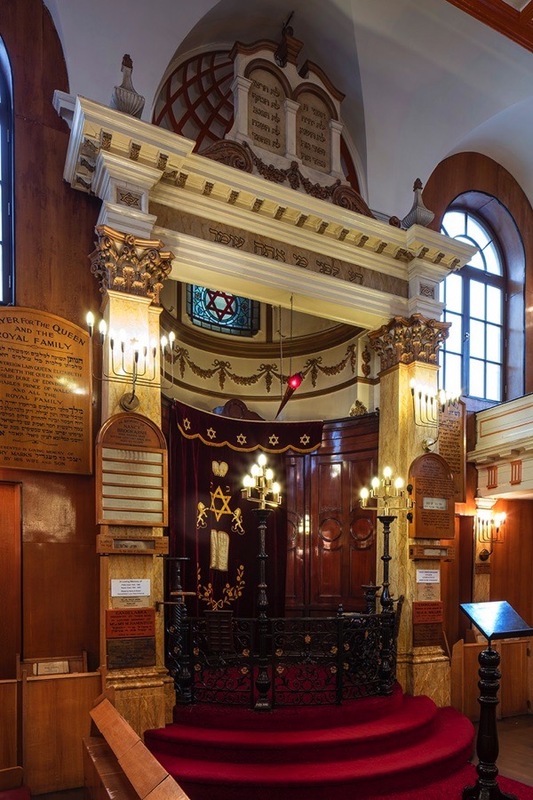 I wrote about their story and my long connection to the Jewish East End in Rodinsky’s Room and now I am working on a new book, exploring the history of Sandys Row Synagogue, an untold history of one of the earliest Ashkenazi Jewish communities in London in the nineteenth century. 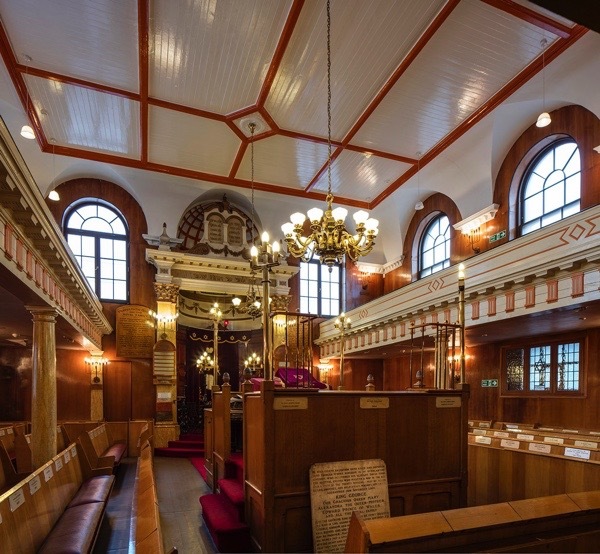 My role at Sandys Row has involved depositing material from the synagogue at the Bishopsgate Institute, a Victorian philanthropic institution established to provide educational facilities and a library for the poor of East London. This transfer process took many months and was undertaken with the help of volunteers working in collaboration with Chief Archivist Stefan Dickers and his team. Over time, most of the synagogue’s records had been scattered around the building. Some were found in the safe in the vestry, but the majority were retrieved from the eighteenth century basement which is practically unchanged from when the building was erected in 1766 as a Huguenot Chapel. The documents we found include nineteenth century marriage certificates and an almost complete collection of handwritten minute books from the time the synagogue opened until the mid-twentieth century. Everything has been safely deposited now and we are digitizing and transcribing the entire collection, which is available for visitors to view in the reading rooms at the Institute. Alongside this work, I have also been involved in collecting oral histories of past and present members of Sandys Row. We have recorded interviews at member’s homes in Pinner, Golders Green, Redbridge and other places on the outskirts of London, where most of the former Sandys Row community now live, as well as locally with the few elderly members who remain in East London. These people spoke of a neighbourhood once bursting with life, filled with kosher butchers, bewigged women, friendly societies and Yiddish speaking traders. They told of a time when there was a synagogue or house of prayer on nearly every street in the area and the vicinity of Sandys Row was filled with Jewish shops, workshops and thousands of stalls from Petticoat Lane. All of our interviewees had fond memories of Sandys Row Synagogue, some like Pamela Freedman and board member Rose Edmands are directly related to the Dutch founding members. ‘It was a family shul, they used to call it the Dutch shul. All my late husband’s family were members. He was the president, his uncle was the president, I think the grandfather was president,’ said Pamela. Rose, whose original Dutch surname was Engelsman, remembered high holy days as a child: ‘There used to be the wardens who sat in the box in front of the bimah (reading desk) with top hats on. We used to have a great time on Simchat Torah (A Jewish holiday celebrating the conclusion of the annual cycle of Torah readings) where we’d have apples and flags and march around the bimah.’ Her entire family were members, ‘my great aunts used to sit in the front row and my mother’s generation sat in the row behind, and we kids sat in the back. And, now I sit in the front row – there’s nobody. So the reminder of time passing is very poignant there.’ I loved hearing their stories of this lost world. Today it is almost impossible to get any sense of a Jewish presence in the neighbourhood. 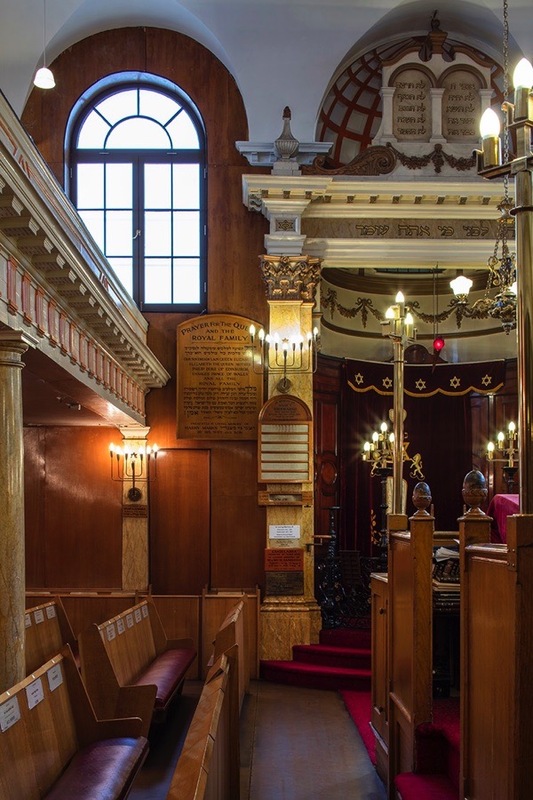 Spitalfields has changed beyond recognition but Sandys Row Synagogue remains as both a reminder of a bygone era and a living example of Jewish culture and religion, where every weekday the building is open for afternoon prayers. Rachel Lichtenstein‘s books include Estuary, Diamond St, Rodinsky’s Room (with Iain Sinclair) and On Brick Lane. How pristine, polished and shiny. The dedication, love and care which must go into the upkeep and preservation of this building are so apparent in these photographs. I am glad Sandys Row still functions as a place of worship as well as reminder of the social, cultural and spiritual history of the area. 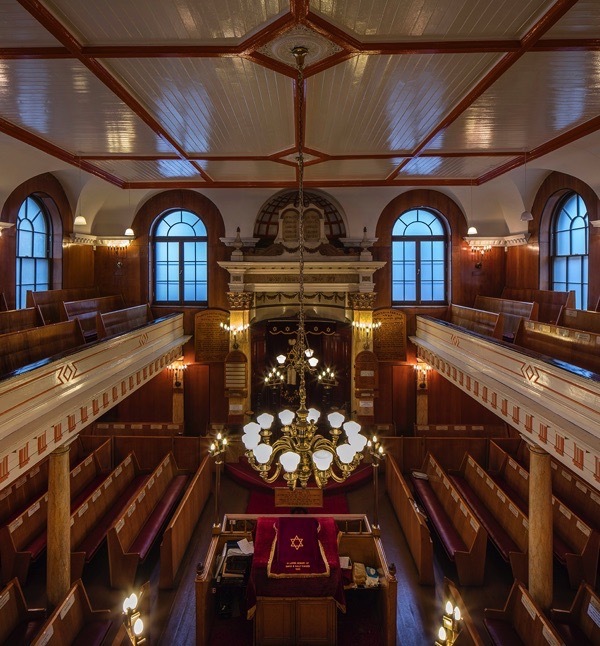 This is a stunnng synagogue and, though I never visited it, having worked closeby and visited other synagoues in the East end and city area, I think this looks to be one of the most atmospheric of them. Rachel, what a moving piece! I would love to attend one of your walks! My father was bar mitzvah at Sandusky Row in 1936 beautiful shul. GA, in the summer of 2016 my visit to the Severs House included a tour of a nearby synagogue so it must have been Sandys Row. However, I don’t recall the interior looking so pristine. We had a delightful female guide who walked us through. I remember the basement area as being badly in need of repair. Rachel has done such a marvellous job in promoting the Jewish heritage of the East End. 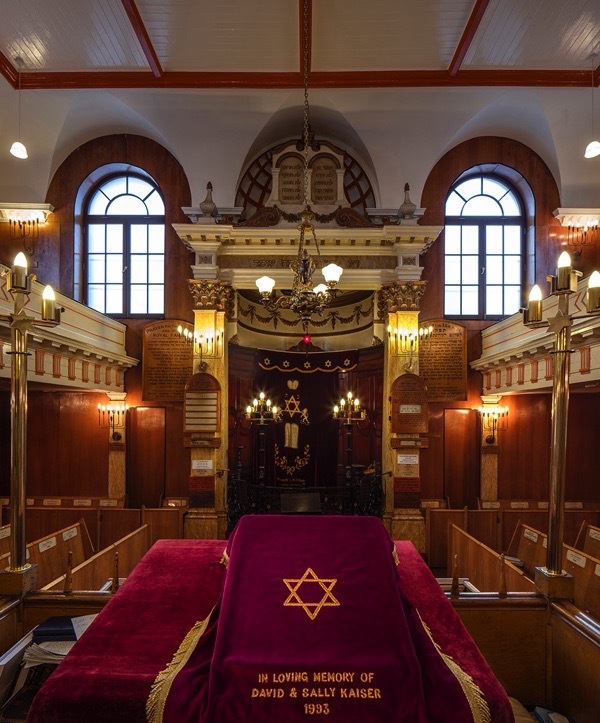 She has introduced a lot of people to the Sandys row synagogue – a magnificent hidden gem. I was thrilled and very moved to read this piece, and to see photos of this synagogue. It evoked long ago memories of my Jewish grandparents and family, and resonated as a back drop to my personal journey and discovery of Judaism. Thank you for telling this history .It is so important to keep buildings such as this .How sad that it is the only one left.With the continual changing face of London the history must be kept alive. I had an Aunt Milly (nee Harris) and who married Jack Symons at Sandys Road Synagogue. They both lived in the old tenements in Stoney Lane. The date – circa 1942. Because of the blitz, they didn’t want to leave my grandmother Hannah Harris for too long, so spent their honeymoon at a hotel next to Liverpool Street Station. Romantic – possibly not, but in the circumstances, probably a kind choice.